These wonderfully pretty narcissi offer fully double, ruffled blooms in shades of yellow, cream and white, and create brilliant displays in borders and containers. Both Odbam and Sir Winston Churchill are delicately fragrant too! 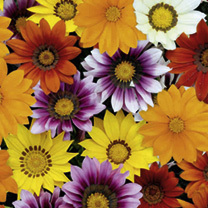 All four varieties are excellent for cutting and bringing indoors. Ht. 35-45cm. The perfect ride-on mower for lawns up to around 3000m2, especially those with space-restricted areas, the Mountfield 827H is one of the most compact machines of its type in production (it has a 66cm width-of-cut). Making it tick is an ultra-dependable four-stroke power-unit from Mountfield’s impressive 5500-Series. Benefiting from an overhead-valve configuration, these high-performance four-stroke engines deliver their power smoothly, cleanly and quietly; and use a lot less fuel than their conventional side-valve counterparts. There’s no troublesome pull-type starter; Mountfield have provided a stress-reducing electric key starter. Thanks to its hydrostatic transmission, the Mountfield 827H Compact Lawn Rider can be driven rather like an automatic car – simply press the foot-pedal and you’ll gradually accelerate according the amount of pressure you apply. This makes it much easier to negotiate obstacles and end-of-pass turns, and also allows you to precisely tailor the ground speed to suit whatever conditions you’re dealing with. The Mountfield 827H is supplied with a very roomy 150-litre grassbag, which you can empty from the comfort of the driver’s seat. The fact that the bag is made from breathable fabric means that spent air can escape, thereby ensuring it’s filled to maximum capacity. A six-step height-of-cut, adjustable between 25 and 80mm, allows you to manage the changing grass-conditions that will inevitably occur as the season progresses. If you’d prefer to recycle your grass-clippings, an optional mulch-kit is offered. A trailer-hitch is also available. 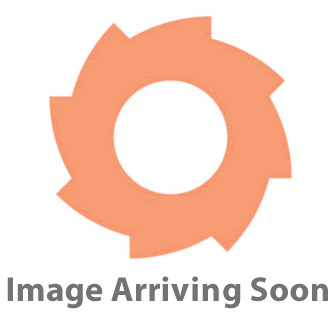 Mixed Carnations – a fantastic gift whatever the occasion Order by 11am and we will despatch your gift the same day by post to arrive within 3 working days. 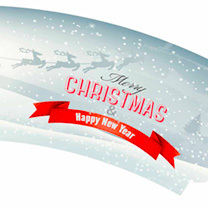 Select the date you want your gift delivered from the list of possible dates below. You can add your personalised message at the checkout basket. Delivered with your own personalised message and FREE flower food!A wonderful gift of 10 long stem carnations in a beautiful mix of bright colours with greenery. A popular classic bouquet for all tastes.Your flowers will arrive in a gift box complete with your own personal message. Flower food included.Remember, we’ll despatch your gift to arrive by the date you select, giving you flexibility to order your gift all year round. 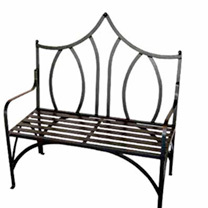 This elegant and sturdy solid steel bench truly will bring a regal feel to any garden. Supplied fully assembled. 102cm wide x 45cm deep x 110cm high. UK designed and manufactured. Please allow up to 21 days for delivery. 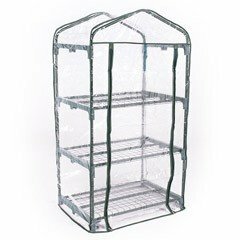 Protect your plants and improve their growth with this Greenfingers 3 Tier Greenhouse Protection Cover. Made specifically for the Greenfingers 3 Tier Greenhouse our code LS6363D this excellent PVC cover provides reinforced protection to give winter warmth and summer shading for your prized plants.To fit greenhouse: L69 x W49 x H127cmPlease note: this is for the COVER only. 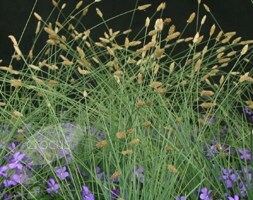 Position: full sun or lightly dappled shade Soil: moderately fertile, well drained, neutral or slightly alkaline Rate of growth: average Flowering period: July to October Hardiness: fully hardy A native of central and southern Italy, this gorgeous little grass is grown mainly for its colourful foliage. It forms dense mounds of pale grey-green to grey-blue leaves, which stay on the plant throughout the year. In spring it throws up whitish green cone-shaped flowerspikes, that bobble about in the breeze. Once established it can be very drought tolerant, and it looks great in a herbaceous or mixed border or wildflower meadow. Garden care: Gently comb through the foliage in spring to remove some of the older foliage and to encourage fresh new growth.